We continue and complete our interview with genealogist, author, producer and speaker Megan Smolenyak, wherein we discuss her work with Unclaimed Persons, finding the family of a World War I veteran from Ireland, and her latest book! Alannah Ryane: I would think that one of the more rewarding hats you wear is your work with helping coroners and medical examiners locate the next of kin for Unclaimed Persons. The number of volunteers you have enlisted to assist you with this is amazing and they have solved 251 cases. What got you started in this area and what was one of your more moving experiences with this group? Megan Smolenyak: It was a newspaper article about a specific coroner’s office in Pennsylvania that first alerted me to the very existence of this quiet epidemic maybe seven or so years ago. I started researching cases on my own for several counties, and then decided to make a video about a few of those cases – and that’s what triggered Unclaimed Persons. I was inundated with requests from other genealogists who wanted to help, so I started a very ad-hoc group that gradually grew and developed a structure. I no longer run the group (that’s done by the tireless Skip Murray and Janis Martin), but continue to cheerlead and “recruit” for it and solve cases. It’s hard to single out any one case. Some stand out because of the circumstances and others because of what it took to find the family, but I have to say that it’s especially rewarding when the family is grateful to have been notified. I couldn’t imagine what it’s like to be left wondering, but thanks to Unclaimed Persons, there are hundreds of families who no longer are. The one thing I would say is to call your brother – or whatever relative you have a bit of a feud with. Too many of these cases result from long-held grudges about trivial matters. Don’t let it happen to you. Alannah: While working with the U.S. Army and their on-going repatriation efforts, you were asked to locate the next of kin of a World War I veteran who immigrated from County Galway in 1892, named Private Costello. How does the emotional aspect of stories like this affect you? 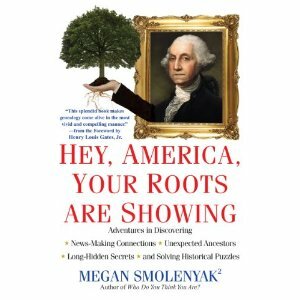 Alannah: Your new book, "Hey America, Your Roots Are Showing," is to be released in January 2012 and promises to reveal more secrets to your "Indiana Jones" style of sleuthing. In the book, you received thanks from Stephen Colbert as you assisted in his family history research for his segment on "Faces of America." I have written before on that segment because I thought it was a such a wonderful moment, when he read the oath of allegiance his Irish Immigrant ancestor had to read after being starved out of his homeland. 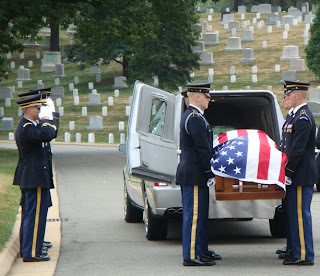 Can you please share one of your more moving and rewarding experiences while wearing any of your many hats . . . and perhaps some advice to everyone about researching their family tree? Megan: Yes, I was thrilled that Stephen, who’s about 94% Irish, was kind enough to provide a quote. I have to say that on a personal level, getting hugs and kisses from the Obamas and [Irish Prime Minister Enda and his wife, Fionnuala] Kennys earlier this year in Dublin was pretty darn special. I had no idea back in 2007 when I traced then-candidate Obama’s roots to the little village of Moneygall [County Offaly] that he would wind up going there as President to raise a pint in Ollie’s pub and meet his cousin, Henry Healy, who’s now fondly known as Henry VIII (since they’re eighth cousins). And of course, it’s always fun to see your handiwork make the news or be featured on TV. But I think it’s probably the quiet stuff that matters most. Each soldier buried, each unclaimed person reclaimed, each cold case re-opened or solved, each orphan heirloom returned, each adoptee reunited with their birth family – you get the idea. You don’t hear about these, but each one means a lot to a few. As to advice, reach out to others. Genealogy is ultimately about connecting across oceans and time, so don’t do it in a vacuum! And whenever you hit a brick wall in your research, do everything you can possibly think of and then just leave it. Our ancestors want to be found as much as we want to find them, so they’ll often meet us half-way if we’re patient. Alannah Ryane is TheWildGeese.com's Media Manager and Family History Producer. A native of Ontario, Canada, she has an extensive media background, including CBC-TV news production, conducting TV, radio and print interviews and promotion for independent and foreign-film distributors in Toronto. Her passion for genealogy resulted in her series “By Her Roots” for RootsTelevision.com.